Almost one year ago, financial giant JPMorgan Chase opened its 1-million square foot regional campus at Legacy West in Plano. The 49-acre development is home to thousands of JPMorgan Chase employees. Chase is now requesting approval to expand the second phase of its $300 million project. The campus currently is home to three large buildings and two parking garages. The initial site plan details an additional 7-story building and 1.900 additional parking spaces in a new parking garage to be built on the south-side of Highway 121. 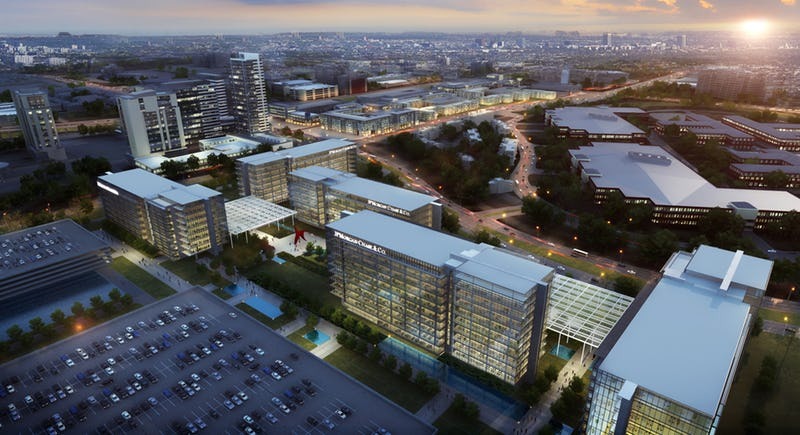 The Chase office is one of the biggest components of the Legacy West development, which is also home to office for Toyota, Liberty Mutual Insurance, Boeing & FedEx Office. Read about all the details here.